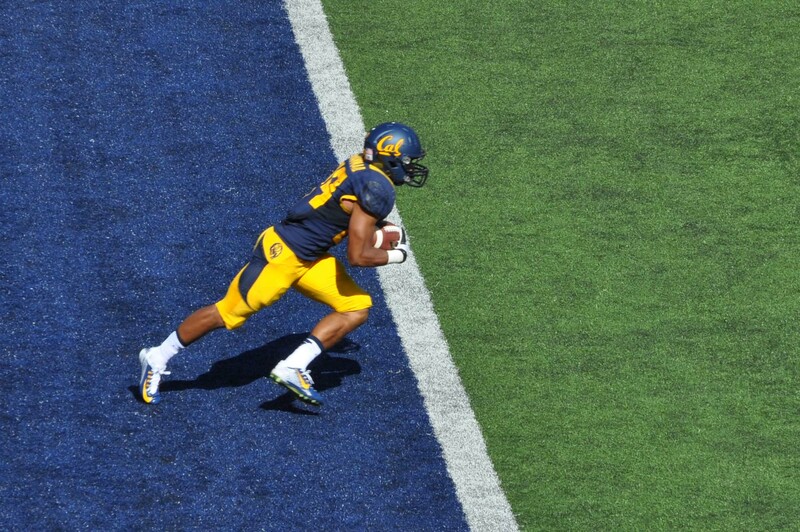 Arizona … the Bears improved to 3-1. 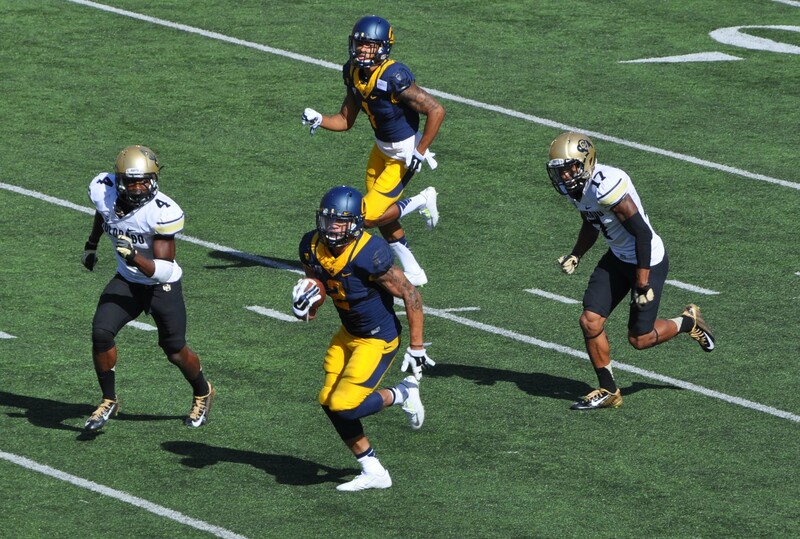 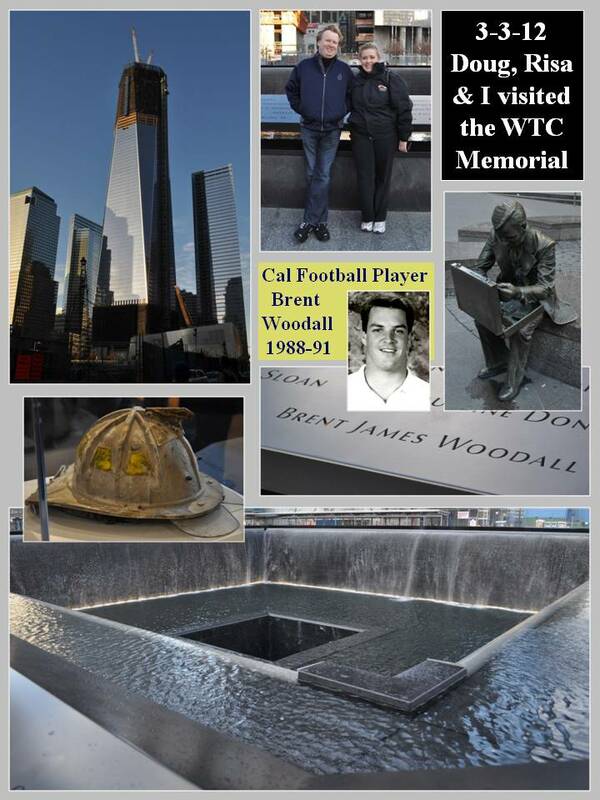 … including a Cal record 92 yarder to RB Daniel Lasco and a 75 yard bomb to WR Stephen Anderson … the 92 yard pass play was the longest in Cal football history … Lasco also had 108 yards rushing on 18 carries to pace the Cal running game. 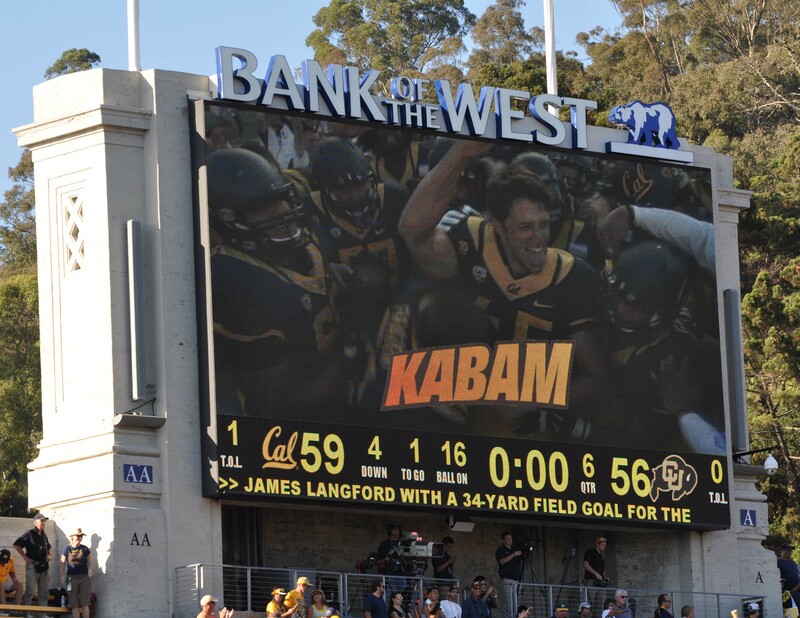 Despite giving up 629 yards and 39 first downs to the Buffs, the Cal defense came up big when really needed … Colorado had the ball first in the second overtime and moved to a first down and goal at the Cal 2 yard line … at which point the Bears defense came up with four straight stops to deny Colorado a score and set up Langford’s heroics. 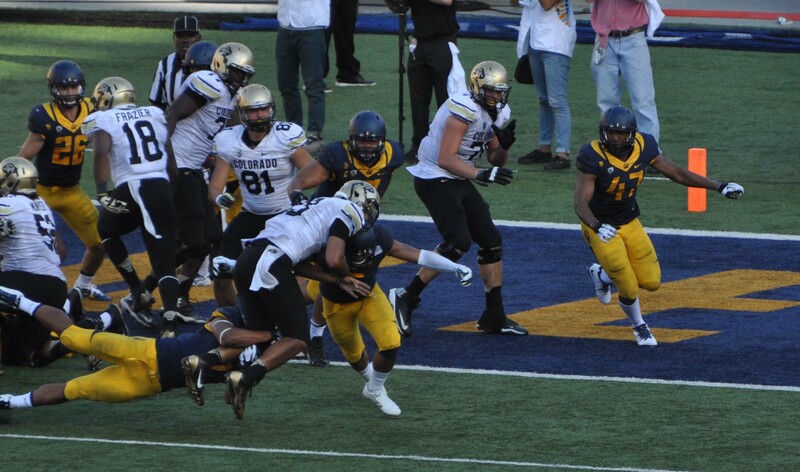 The Bears racked up 576 yards in total offense … 127 rushing and 449 passing … recorded 24 first downs … and came back from a 28-14 halftime deficit with 21 third quarter points. 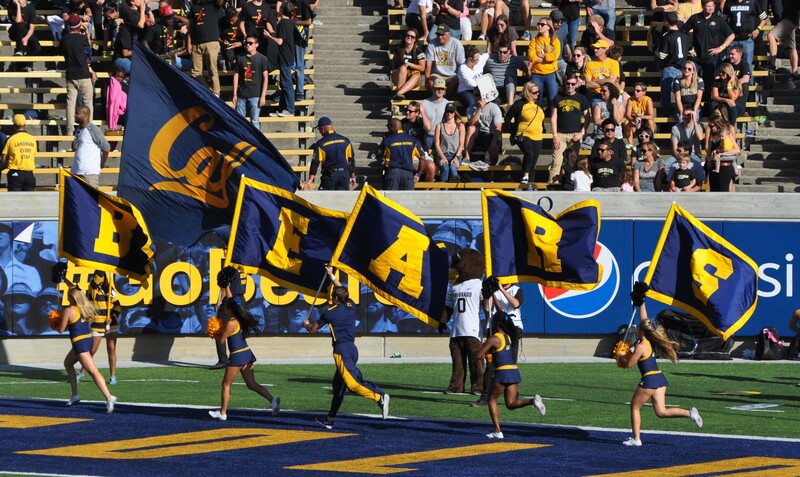 The win broke a 15 game Pac-12 losing streak for the Bears … and marked Cal as one of the most improved team in college football this year. 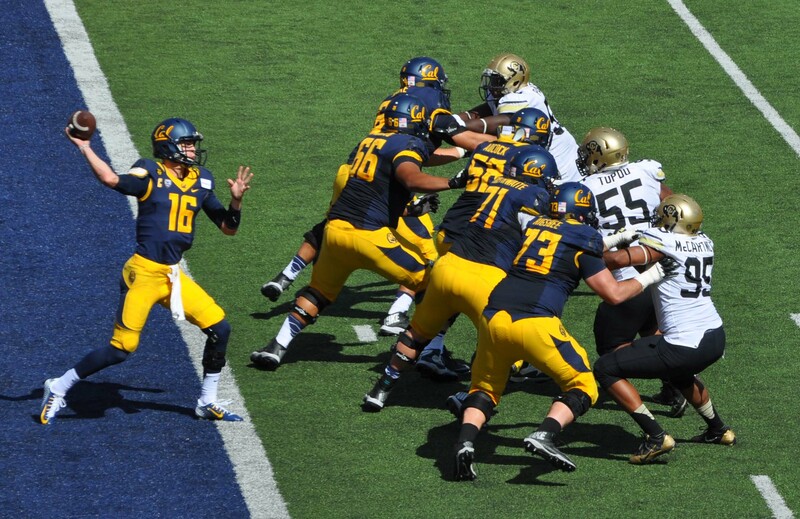 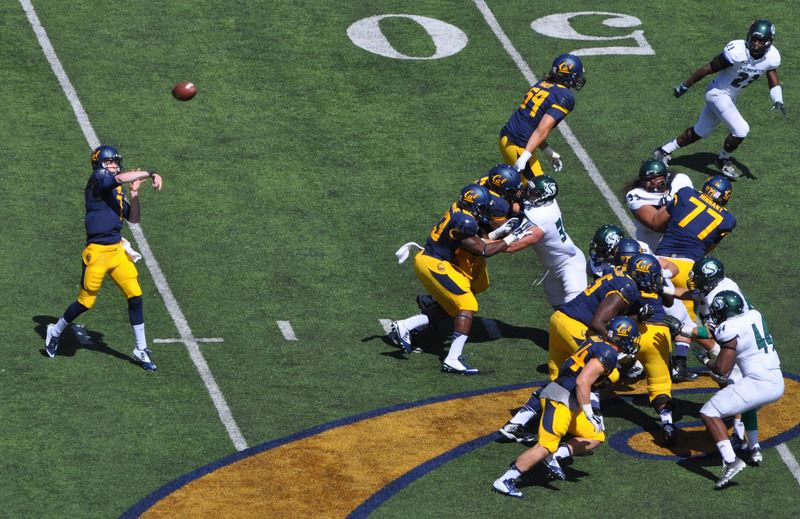 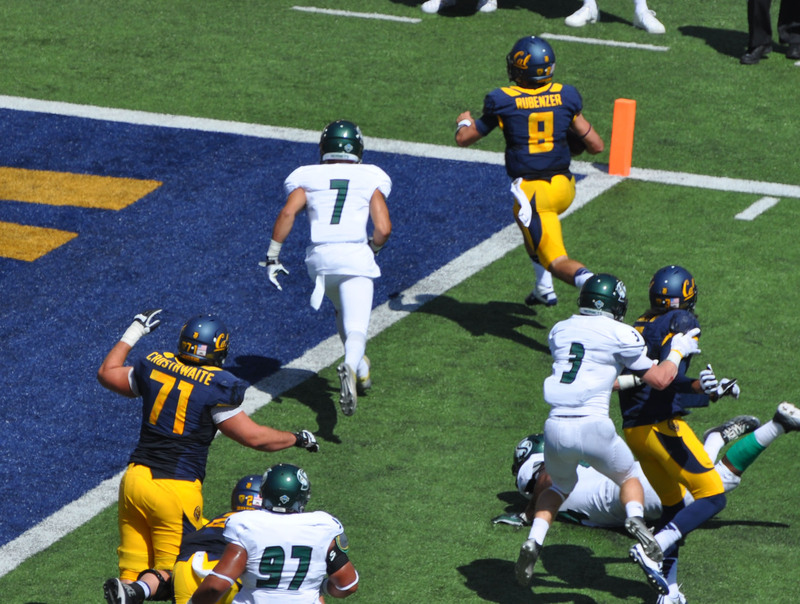 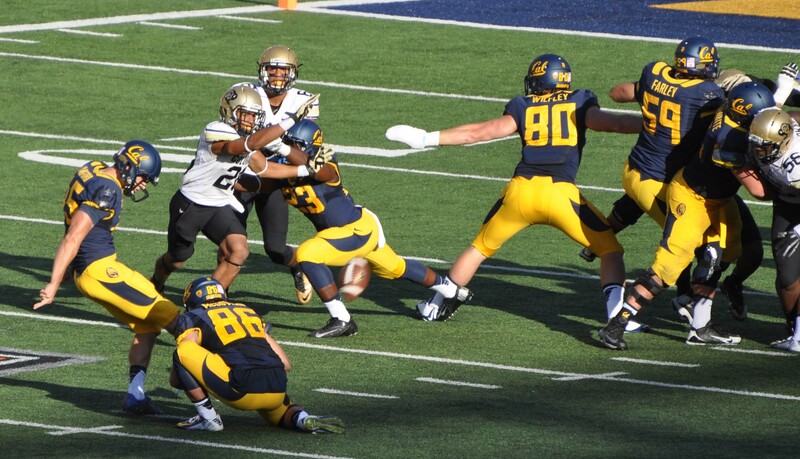 For his performance, Goff was named the National Offensive Player of the Week. 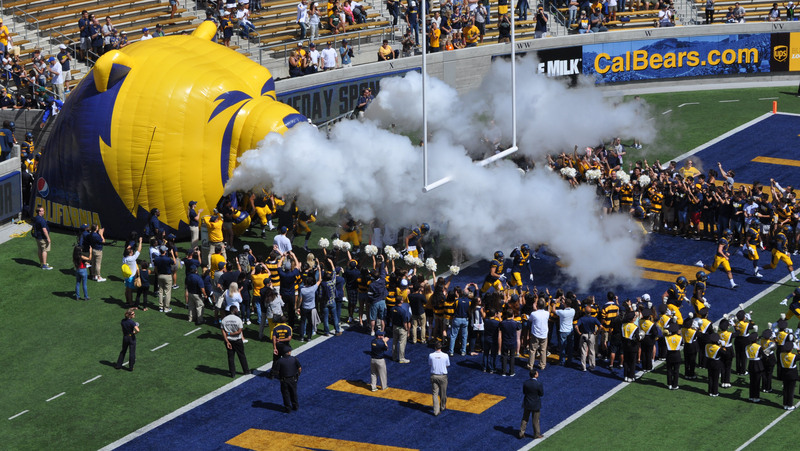 Cal plays the Washington State Cougars next Saturday in Pullman (7:30 pm pdt, TV on Pac-12 Network) … and returns home the following week to host the Washington Huskies (time TBA). 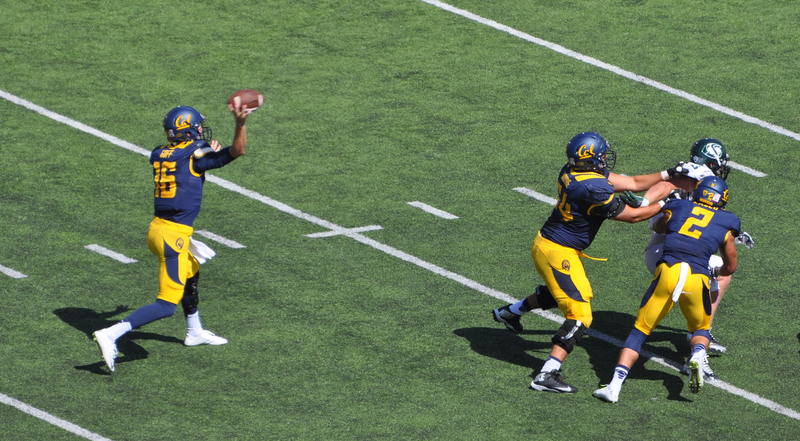 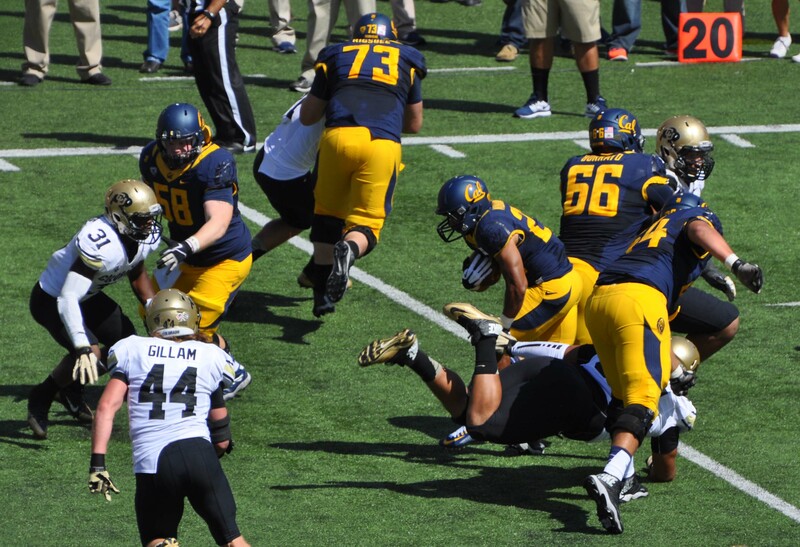 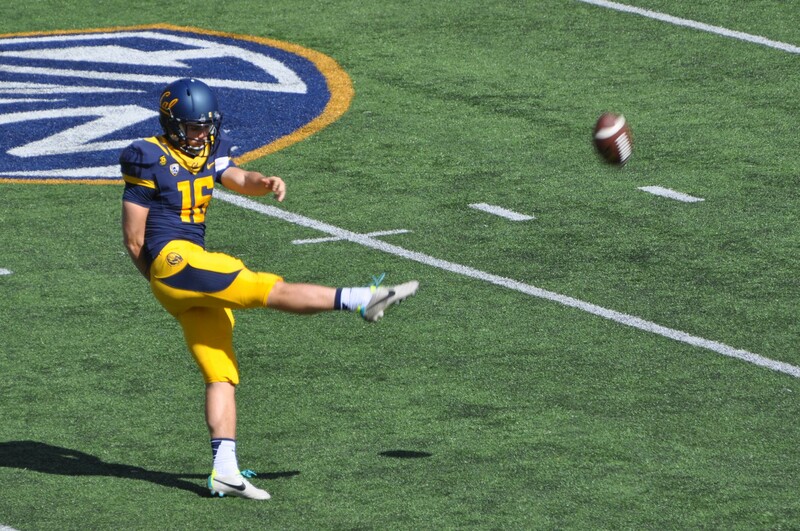 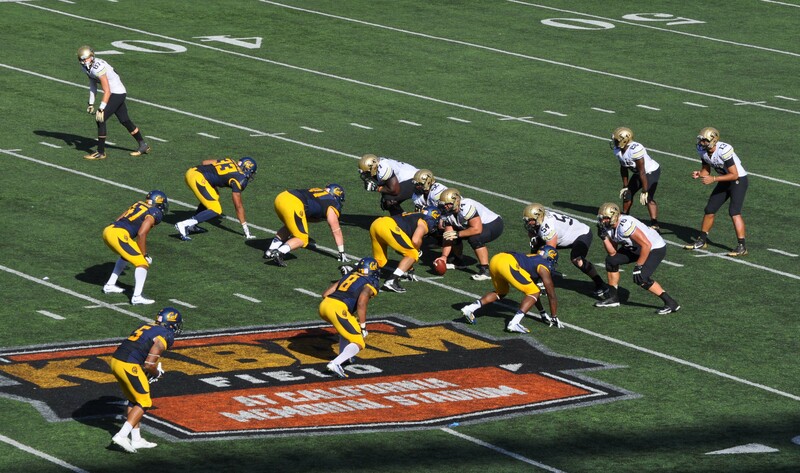 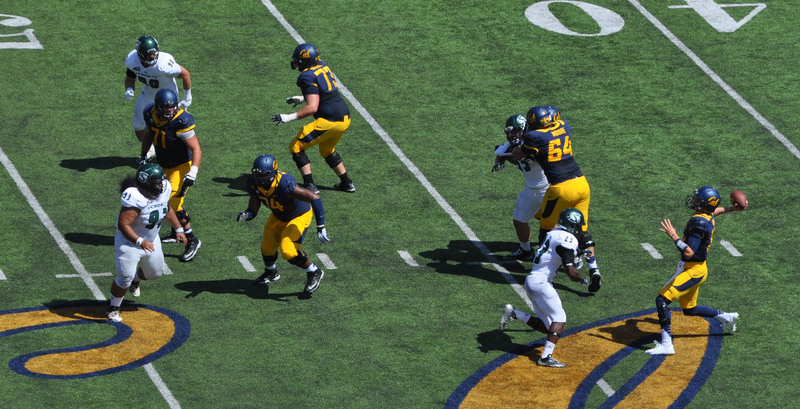 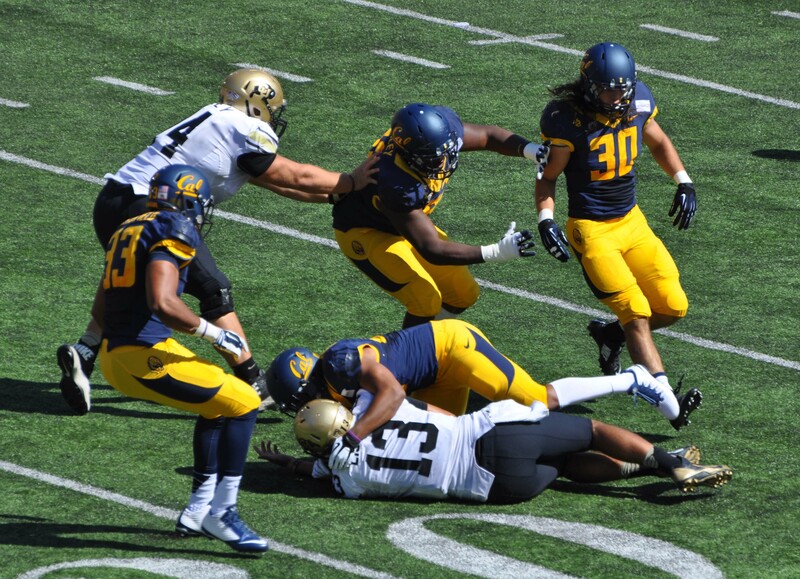 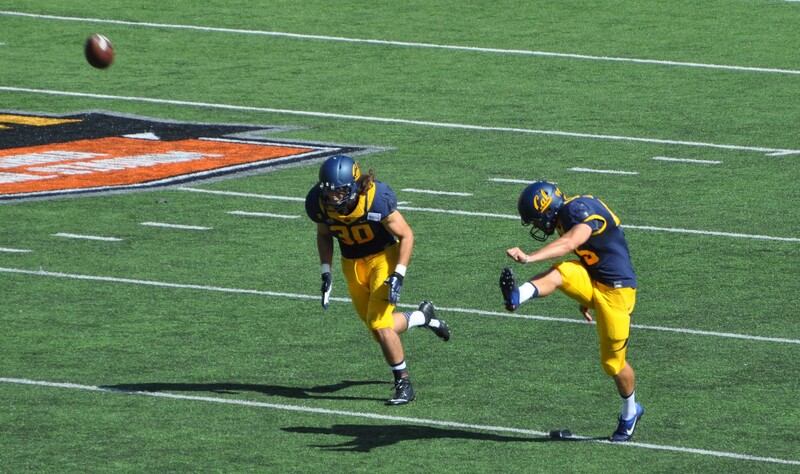 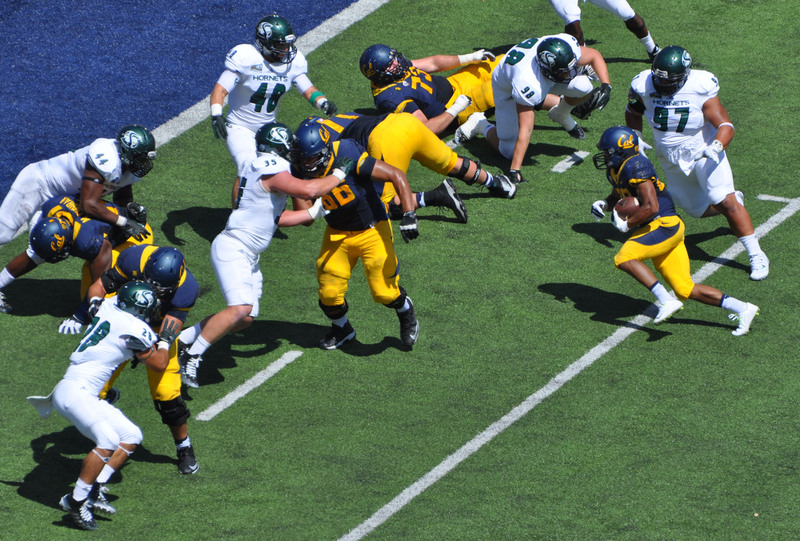 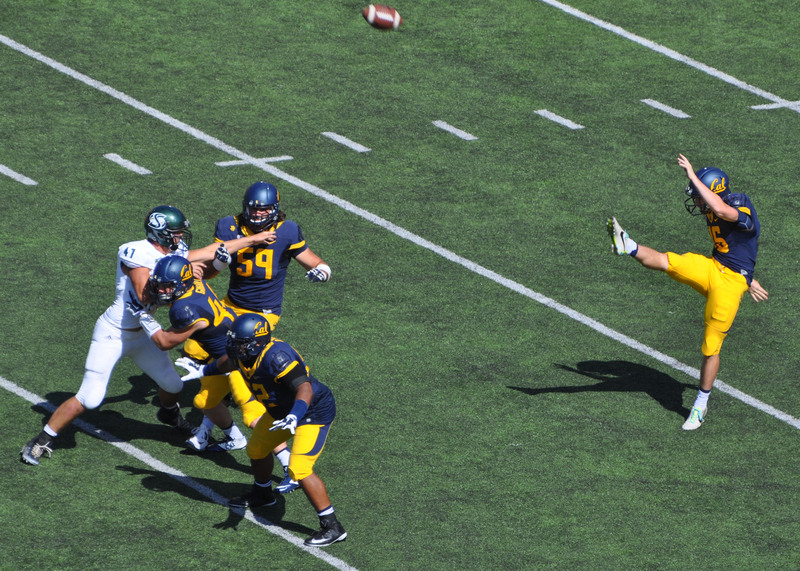 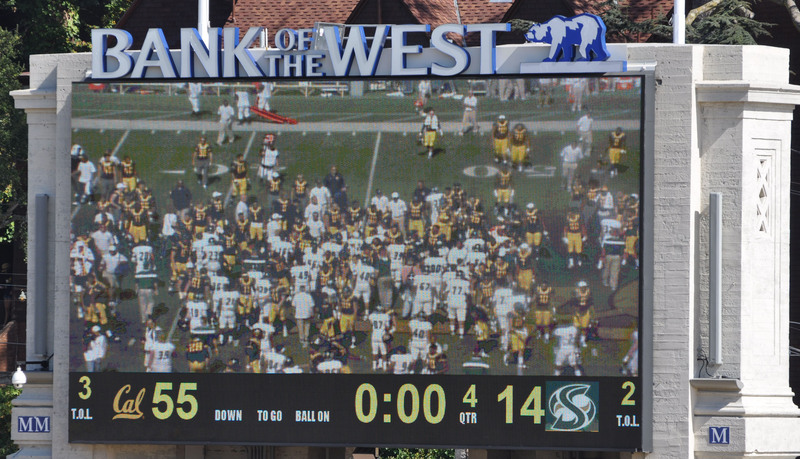 … this past Saturday … and recorded a solid 55-14 win over the visiting Sacramento State Hornets. 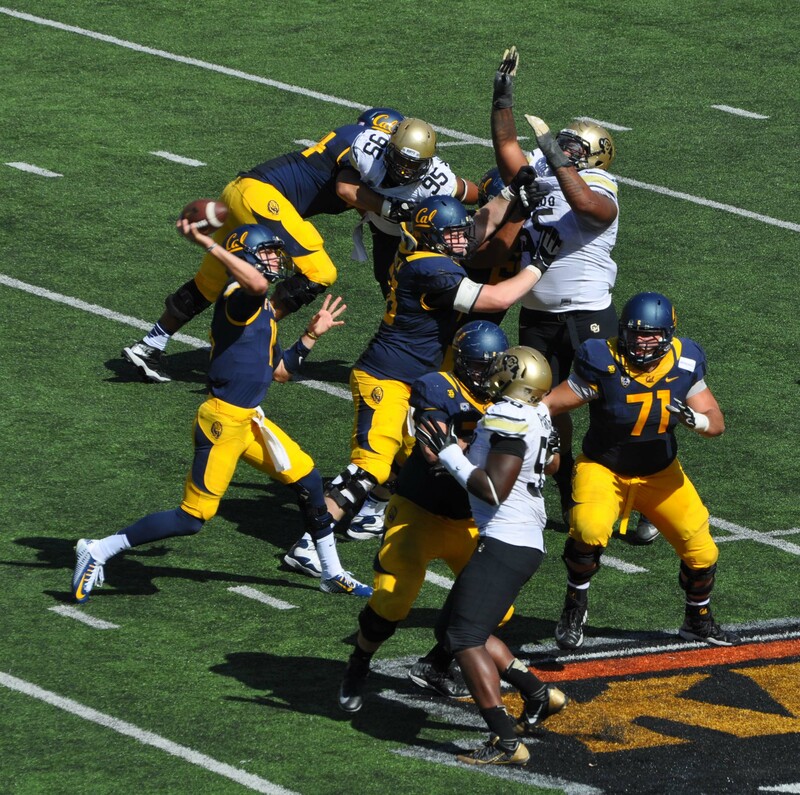 The victory enabled the 2014 Bears to double their 2013 win total … and gave them a 2-0 start for the first time since 2011. 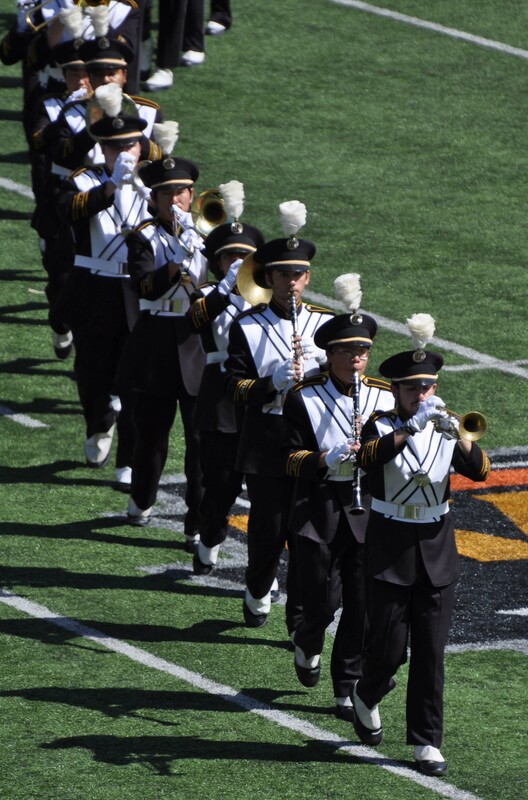 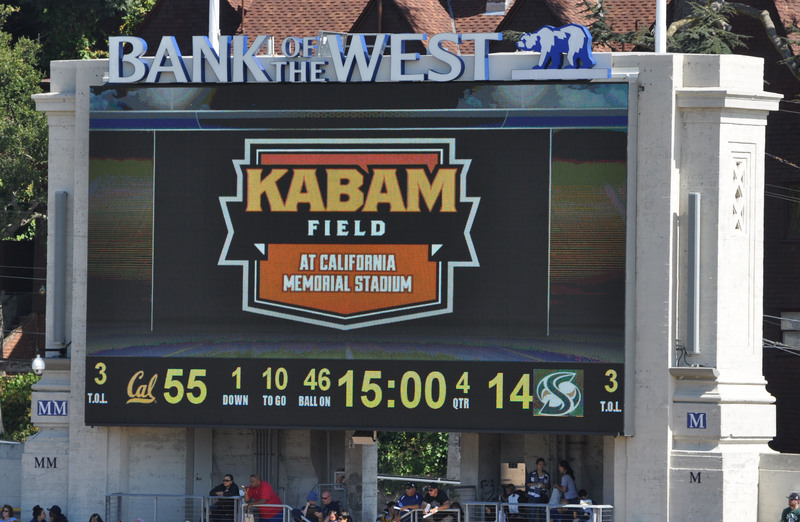 … and enjoyed the hospitality of both the stadium staff and the Kabam folks in attendance. 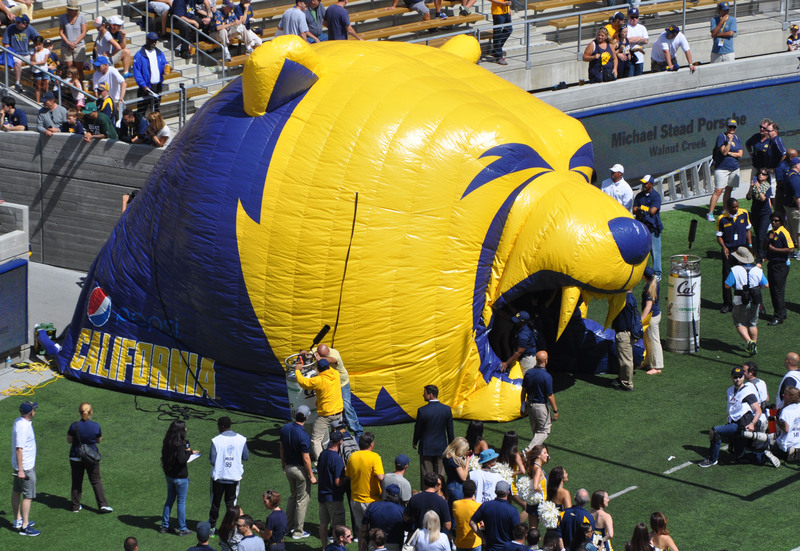 The Bears racked up 579 yards in total offense … 253 rushing and 326 passing … recorded 26 first downs … and blew the game open early with 28 first quarter points. 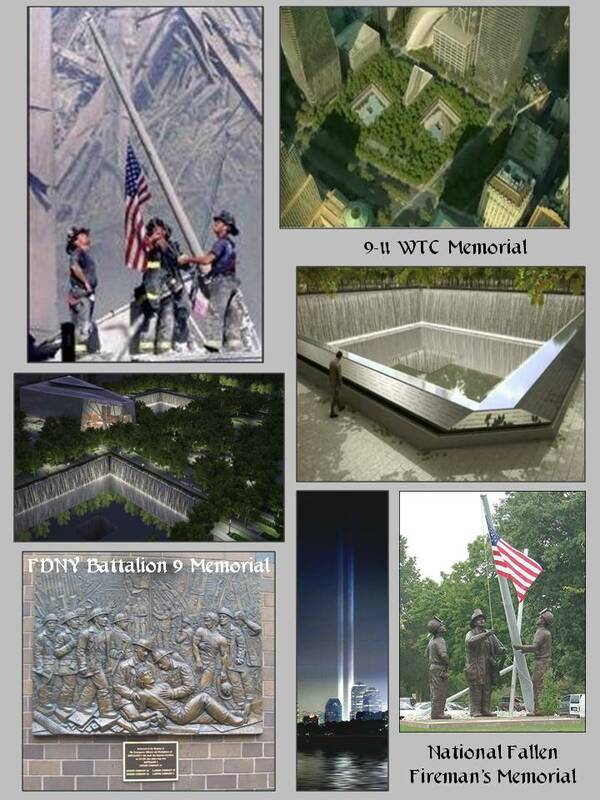 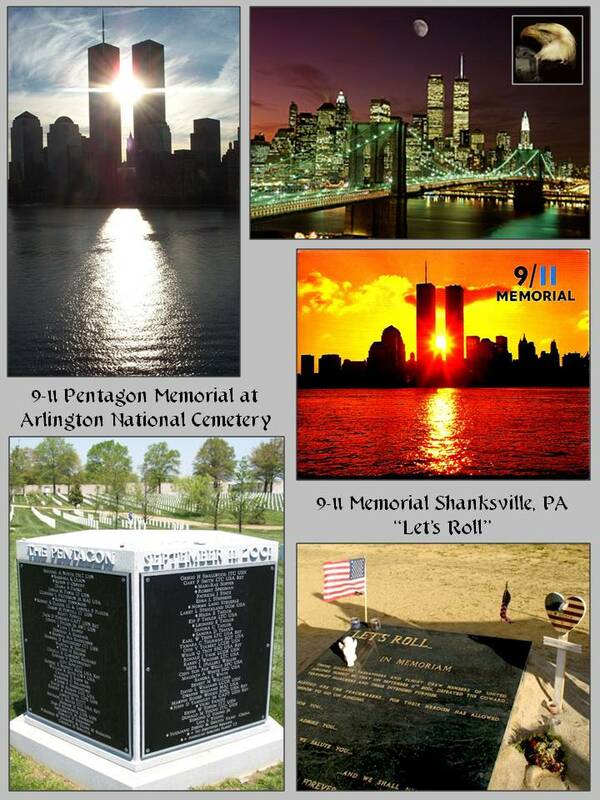 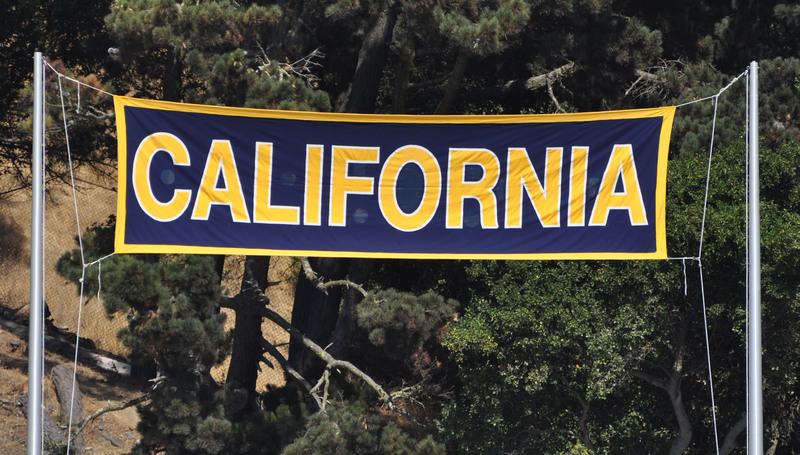 … and presentation of a framed Cal No. 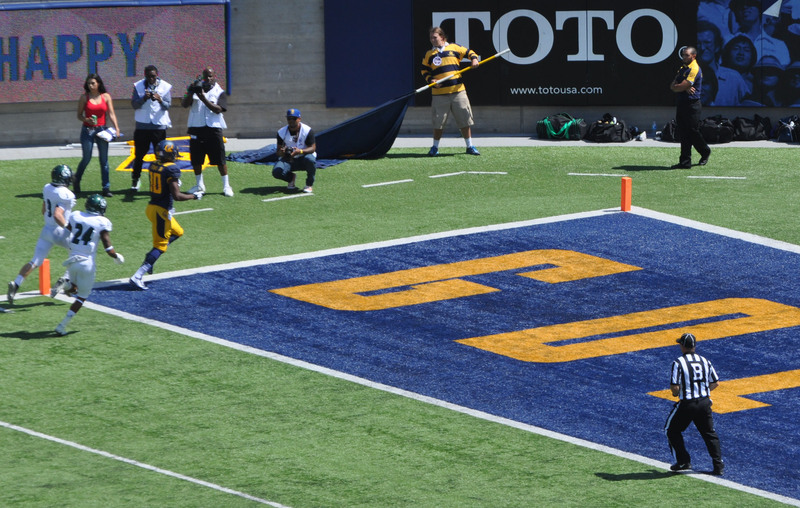 1 jersey. 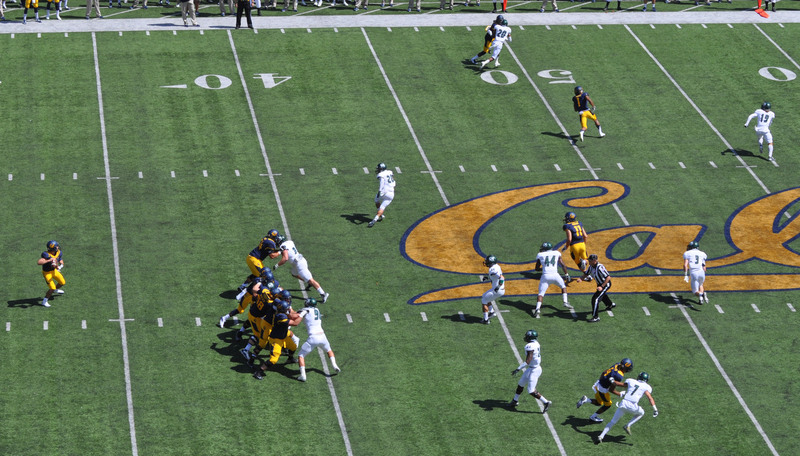 The 55 points on offense was Cal’s highest scoring output since they scored 63 against Presbyterian at AT&T Park in 2011 … and the 14 point defensive effort was the Bears’ best since they held Oregon State to 6 points, also in 2011. 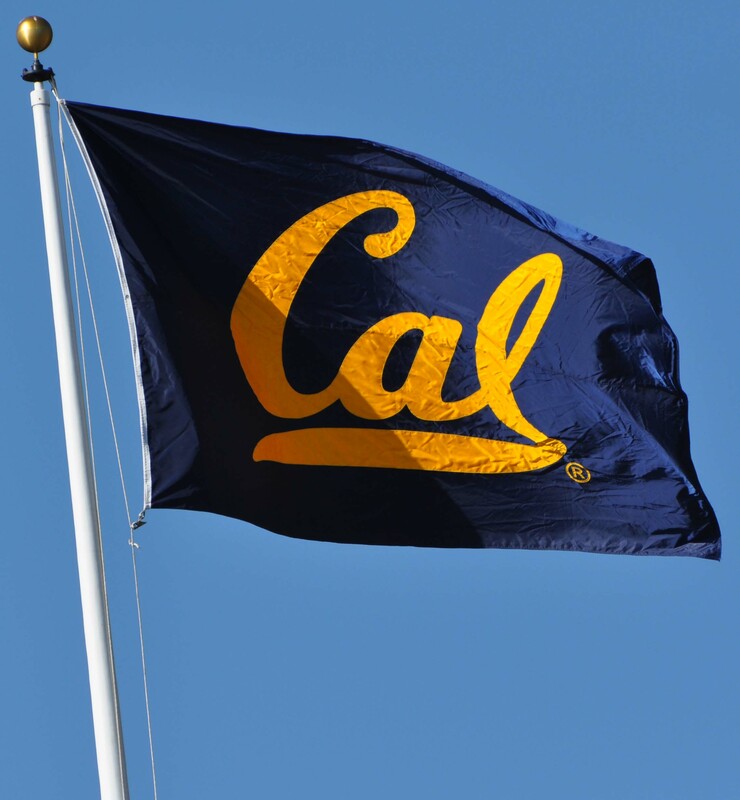 Cal has a week 3 bye, then travels to Tucson on Saturday, September 20th, for a 7:00 pm game against the Arizona Wildcats. 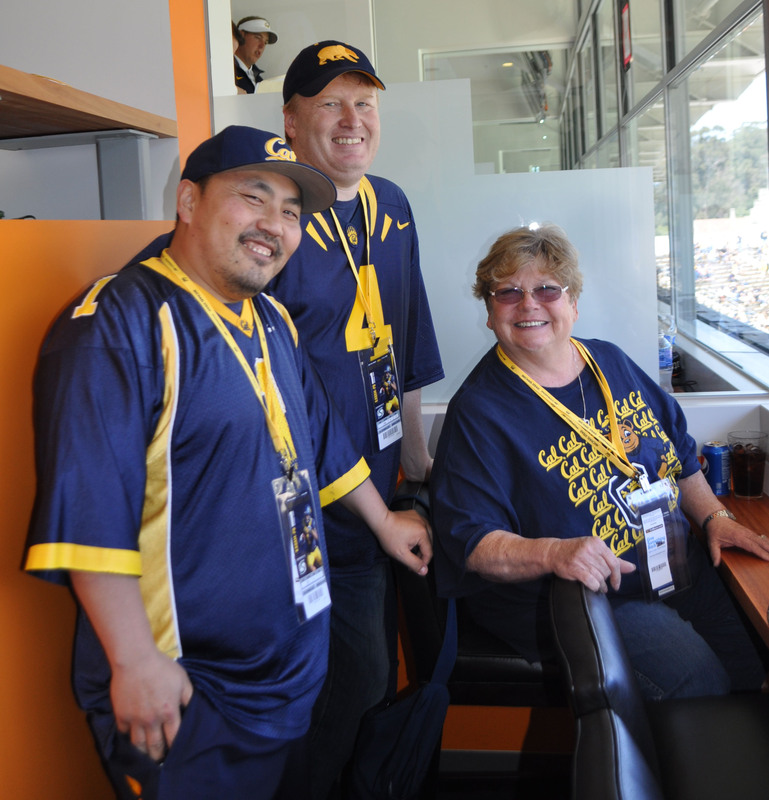 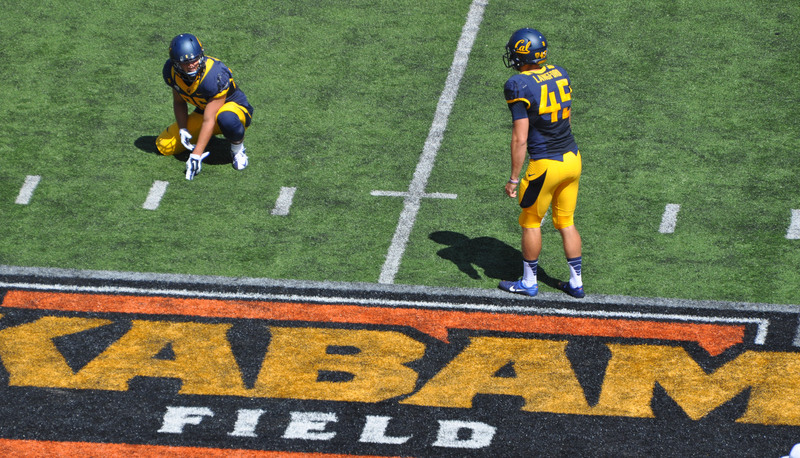 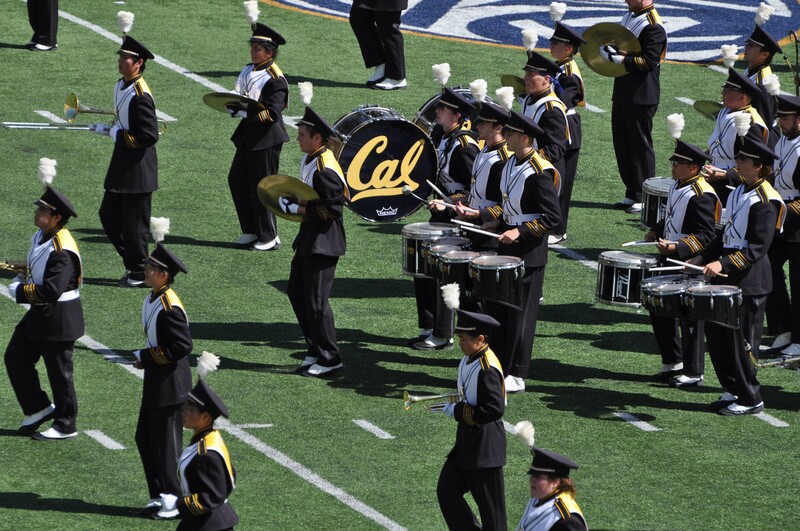 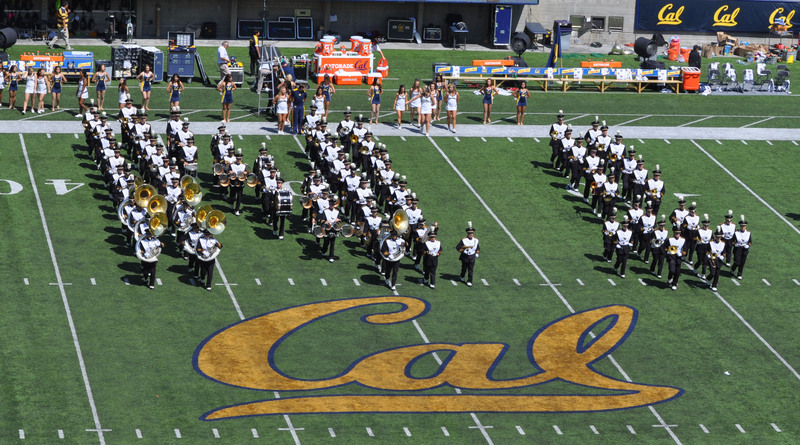 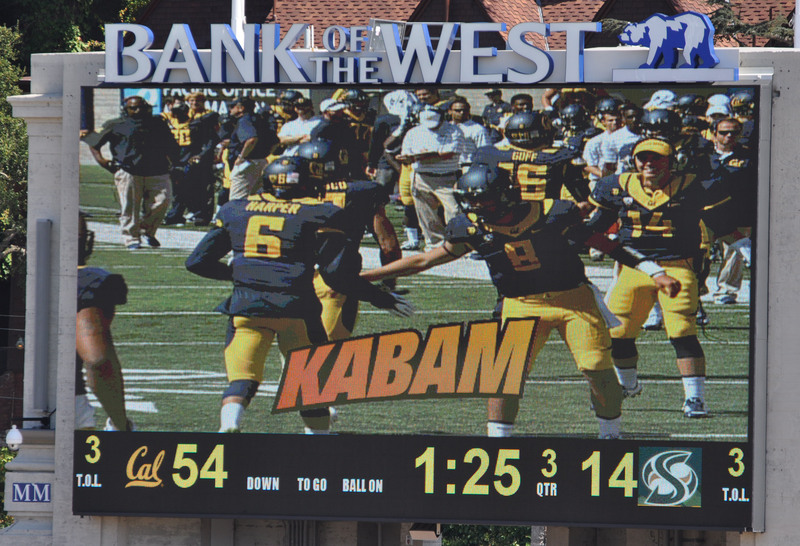 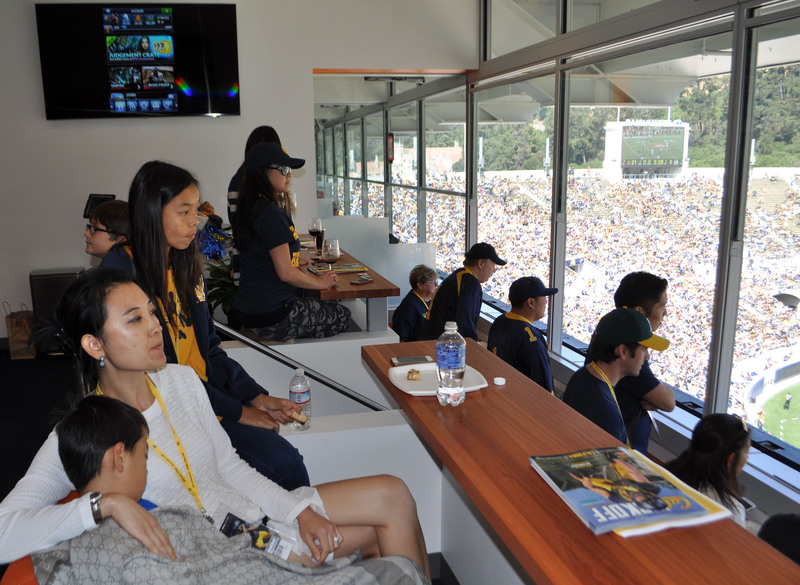 Premier Partnerships worked on behalf of Cal Athletics to locate a naming partner … which led to the agreement with Kabam, Inc., and the sponsorship of Kabam Field at California Memorial Stadium. 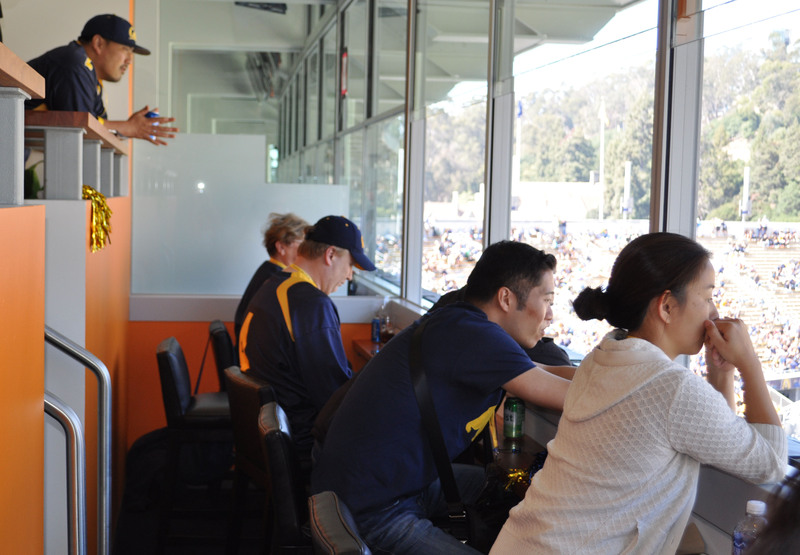 and Jesse Ryback – Premier Partnerships Director of Business Partnerships.